Home / Our Stories / Blog / SaskOutdoors is turning 50 in 2019! SaskOutdoors is turning 50 in 2019! 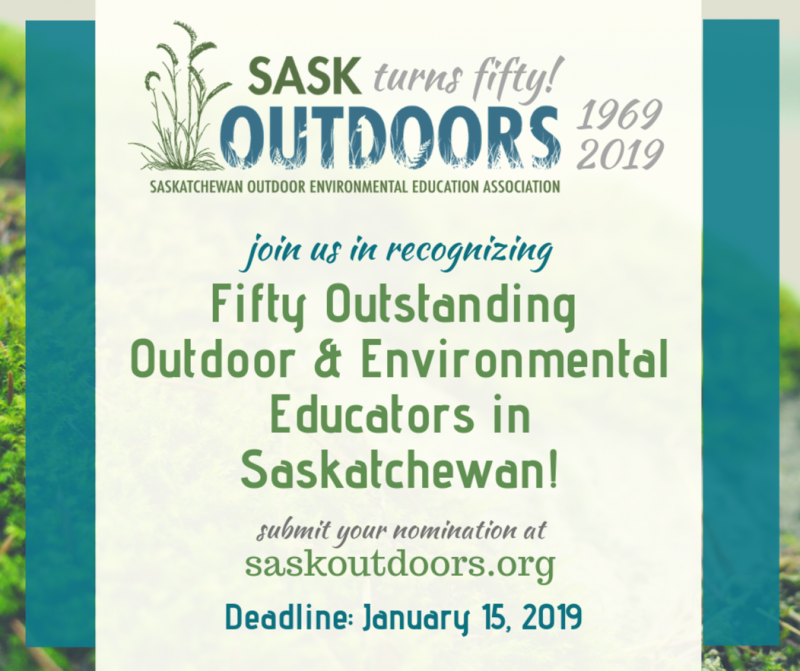 One of the ways we are going to celebrate is by recogning 50 Outstanding Outdoor and Environmental Educators in Saskatchewan throughout the year! Nominate yourself, Nominate a friend, Nominate a collegue! All you need for a nomination is a paragraph describing the person you are nominating and a photo we can use publically. Then for the rest of 2019 we will profile one Outstanding Outdoor and Environmental Educator from Saskatchewan each week! Let's show Saskatchewan some of our outstanding educators!